Grand prize - Signed copies Amanda Ink's Sun, Jennifer Armentrout writing as J. Lynn's Frigid and JK Rock's Camp Boyfriend. 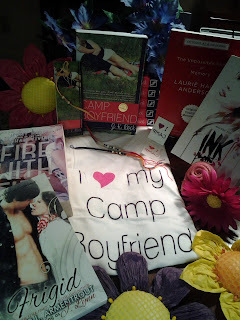 Also included, advance sneak peek copy Laurie Halse Anderson's The Impossible Knife of Memory and Jenny Han & Siobhan Vivian's Fire with Fire, plus an an "I ♥ my Camp Boyfriend" tee shirt, friendship bracelets, 'I ♥ Camp' temporary tattoos, and a bookmark with the download code for Camp Kiss. looks and sounds fun! Thanks for sharing! Hi Kayla! 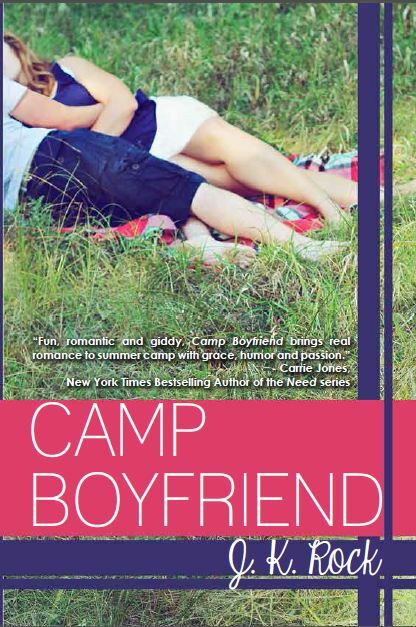 Thank you so much for giving us a day on the blog for the Camp Boyfriend Blitz Week! Sounds appealing! I love these coming of age type stories where the character really has some growing to do. I really love stories about change. Growing up is not always so easy.